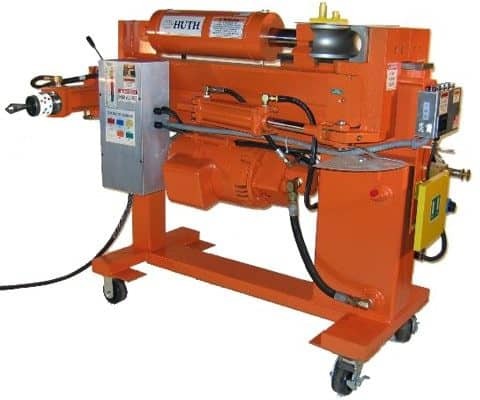 The 2600 is designed for production work and bending heavier materials up to 3″ OD. 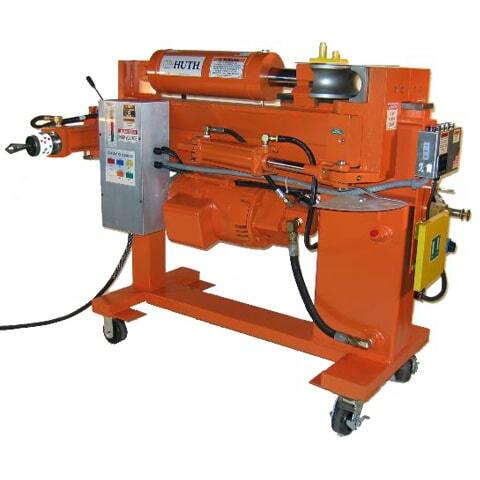 It meets the standards set by our other models for precise bending and end finishing. The 2600 provides 85,000 lbs. of bending force in comparison to 58,000 lbs. produced by our other models. It comes standard with a 7-1/2 HP motor. A 3″ tube bent to 90-degree in the automatic mode can be completed in 16 seconds. The swager/expander gives you complete end-finishing capabilities. The swager end accommodates 1″ to 3″ tubing. The expander end allows for expansions from 1″ to 5-1/2″. With Huth’s Accu-Sizer bulls-eye expanding system, you can dial in precise expansions every time.